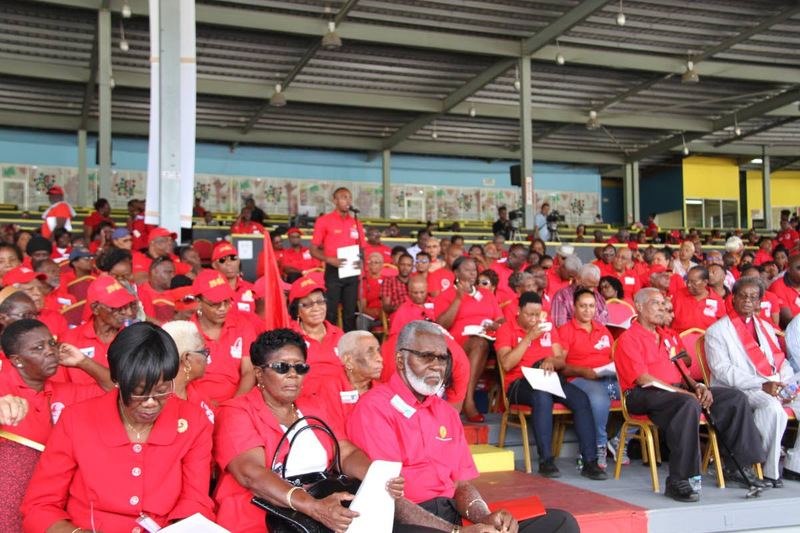 PNM activist, Wayne Griffith, turned out to be the hero as the PNM held its 47th annual convention at the Queen’s Park Savannah on Sunday. He said what many PNM activists have known. That the elite within the party forget about the foot soldiers. That brought him the biggest applause of the day. Not even Prime Minister Dr Keith Rowley with his long and boring speech could have attracted that applause. It took Griffith to engage delegates which resulted in vociferous applause at the end of his report. Griffith, who is close to fired Minister Marlene Mc Donald, struck a chord that immediately found favour with fellow delegates. He said there is a disconnect between cabinet, members of Parliament, senators and the base of the party. While acknowledging that the government needs to address the country’s issues, he said not everybody is benefiting. He spoke of issues including unemployment, constituency leadership and opportunities for development of his community. He added, “It is said we have discrimination in the labour market because of our geographic location and indeed, because of the strict criteria of government contracts, especially in the construction field, it is very difficult for small contractors to satisfy the conditionalities laid down by the procurement entities in this country. Griffith, who represented Laventille West and not Port-of-Spain South, spoke of the need to immediately address the infrastructure in East Port of Spain, by the Ministry of Works and Transport. The delegates erupted with wild applause. Griffith then proposed that the party bridge the gap and get ministers to make themselves more available to party members. However he also knocked unpatriotic, selfish and self-centred citizens, reminding delegates that it was the PNM that established this country as the number one economy and the envy of the Caribbean many years ago and that the country needs to get back there. He even told of a talk he had with former Central Bank Governor Winston Dookeran who he said praised PNM’s fiscal policy over the decades, as for the most part it worked.